PETALING JAYA (Feb 16): Singapore-listed property developer Oxley Holdings Ltd (Oxley) has announced it will open its 207-room So Sofitel Hotel and a 590-key So Sofitel Residences in the heart of Kuala Lumpur City Centre (KLCC) area in 2020, it said in a press statement today. The residences will be managed by AccorHotels and will be the hospitality group's first lifestyle branded residence in Asia. Meanwhile, the So Sofitel Kuala Lumpur hotel will have a "bold, playful lifestyle brand that breaks away from traditional luxury codes" to attract younger travellers, it added. Both the hotel and residence will be part of a large-scale mixed-use development that will include an office tower, retail mall and two luxury hotels with residences. 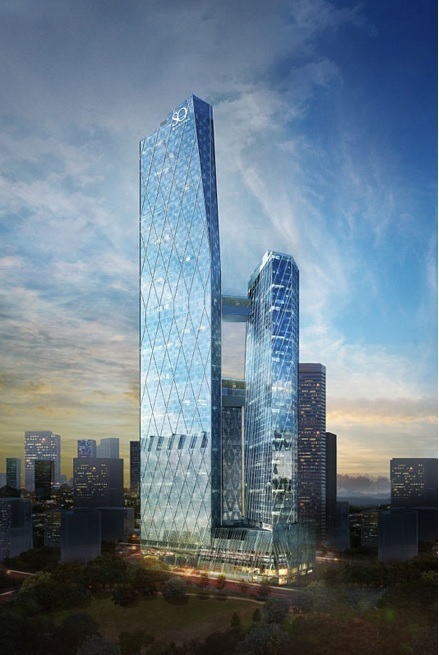 “We are pleased to work with AccorHotels and its renowned So Sofitel brand to design a hotel and a residence that will stand apart from more traditional luxury properties,” said Oxley executive chairman and CEO Ching Chiat Kwong. “AccorHotels will bring almost 50 years of expertise to the project to attract a more international audience and provide a guarantee of quality,” he added. “We are delighted to partner with Oxley for the development of the So Sofitel Hotel and Residences Kuala Lumpur,” said AccorHotels Asia Pacific chairman and CEO Michael Issenberg. “Oxley has a reputation for building quality projects and we are pleased to be working with them on this landmark development after we worked together on the Novotel and Ibis development on Stevens Road in Singapore,” Issenberg added. Some of the facilities the So Sofitel Kuala Lumpur hotel guests will be able to enjoy include four inspired food and beverage outlets, an extensive pool with deck and terrace, So Fit gym, So Spa, signature Club Lounge, business centre and several function and event spaces. Meanwhile, some of the features of the So Sofitel Kuala Lumpur Residences include a lounge, extensive gym with studio and yoga room and a barbecue area overlooking the Kuala Lumpur skyline. Residents will also be able to enjoy a la carte services including housekeeping, room service, laundry services and concierge services provided by the hotel. The So Sofitel Kuala Lumpur Hotel will be an addition to the chain of other boutique hotels by AccorHotels including the Sofitel So Singapore, Sofitel So Bangkok, Sofitel So Mauritius and the recently opened So Sofitel Hua Hin in Thailand. Do not ask your grandma about the value of your home. Click here at The Edge Reference Price to find out. Brighter days ahead for KL City offices?